Joey could feel someone touching his face, but everything was black. What happened? Where am I?- His mind was muddled. He coughed. He rolled over. He finally opened his eyes. June talked, but the words didn’t register right away. She had her helmet off, but still had the tight, black outfit on. Joey looked from her waist up to her face. His head felt full of lead and his eyes drooped. “Joey.” June snapped her fingers in front of his face. She tucked her arm under his and pulled him to his feet. His head banged into the upper bunk. She apologized and dragged him across the narrow passageway and into the lounge. Everyone, including SPX-39 with its suspicious glare, sat waiting. Vic stood up. Vic looked at the floor. Joey, his head still not fully aware yet, tried to figure out what was going on. Obviously they had made the delivery and there was going to be some sort of party, and this Almo guy needed something. It was all confusing. Vic rubbed his mouth. He looked like someone who’d been caught making a terrible decision. Three times he tried to respond, but had nothing to say. “This is going work,” Vic said weakly. June snorted in disgust and left. “Yeah, kid.” Vic had lost all his prior enthusiasm. “Sort of.” Vic filled Joey into all the details about the job in question. Something didn’t feel right. “That’s what’ll make this fun.” Joey didn’t like the glint in Vic’s eye. It gleamed of trouble. Joey gave Mike a dubious look. Mike had been outside while the deal was made. Why didn’t he know what was going on? If anything, Vic, Argmon, Dexter, and Mike should all know what was going on. Only June, Joop-Nop, SPX-39, Tootsie, and Joey were inside while the deal was being made. A fat man in a white suit appeared in the middle of the lounge. Joey nearly leapt out of his skin. It looked so real. So life-like. It was disturbing. Joey knew he was ready to leave this planet. The pollution took its toll on his senses and he wanted to see a different planet. Hopefully something more like Earth. June poked her head around the corner and watched. Joey felt better knowing she didn’t stray far. Her presence was the most comforting. The image of the fat man in the white suit disappeared. “I knew it!” June shouted from the doorway. 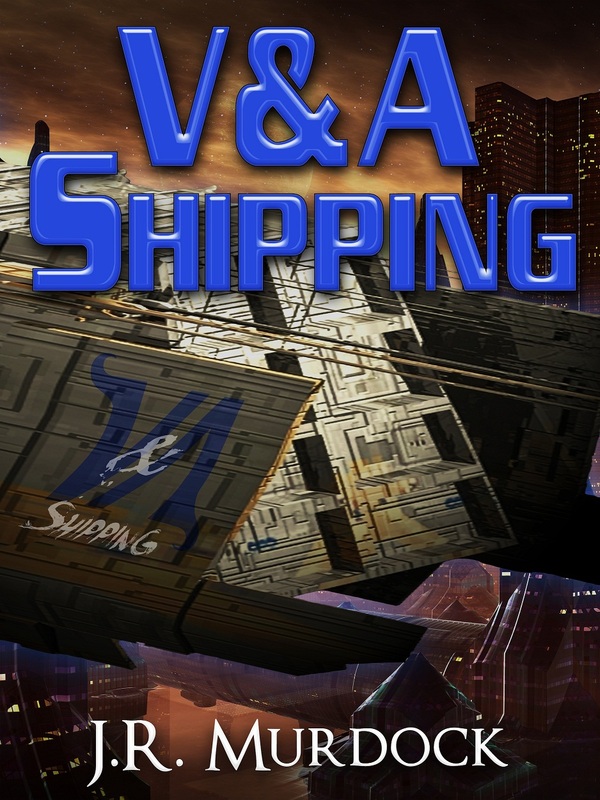 Posted on February 18, 2013, in V&A Shipping and tagged chapter, read along, v&A shipping. Bookmark the permalink. Leave a comment.